New to your leader role? Or, already a leader, but looking to hone your skills? Then, the new book, Ignite Your Leadership Expertise: Become the Trusted Advisor Others Seek, by Nathan Magnuson, is the book for you. 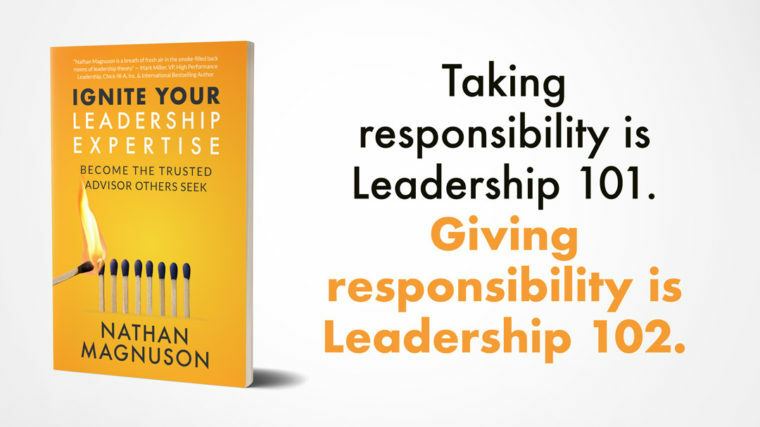 With 10 leadership topics and easy to read within two hours, this book will both teach you and inspire you. Plus, it will give you the confidence to become a leader and/or improve your leadership capabilities. You will learn actionable techniques you can put into play the next day. If you don't want to read the book in one sitting, follow Nathan’s suggestion to read one or two leadership topics (one topic per chapter) at a time, and then reflect on and practice the techniques he teaches. Perhaps read one topic per month and spend virtually the entire year learning something new and devoting a whole month to each topic to really solidify your newly learned skills. 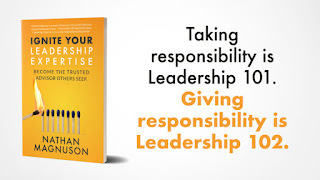 At the end of book, Nathan shares valuable links for recommended reading on leadership, career and life topics. And, sprinkled throughout are motivating leadership quotes. Question: Tell me more about how you selected the topics you decided to cover in your book. Nathan: I didn't think much about leadership until I was a senior in college. On the recommendation of some friends, I took a leadership class in my final semester with Dr. Jeff Myers, to whom this book is dedicated. That class was where I realized I wanted to pursue leadership as a career. By now, I've spent about a decade in corporate leadership development. During this time, I've noticed that many people become very interested in leadership at some point in their career journey. Maybe they read a book, attend a talk or participate in a development program at work. Sometimes they encounter a leadership challenge for the first time they don't know how to handle. One of the things that has surprised me is how many of these folks consider themselves novices at leadership but are strong experts in other areas. My goal with this book is two-fold. First, it's to decentralize leadership expertise by demonstrating how we can all become leadership experts - starting right where we are. My second goal is to show the difference between knowing and influencing. On its own, leadership expertise won't actually make much of a difference unless people trust you. As Theodore Roosevelt famously stated, "People don't care how much you know until they know how much you care." Each topic in this book aligns with those themes. Question: How often do you believe someone looks to a person for influence when that person may not even know they are fulfilling that leadership role? Nathan: I think it happens much more frequently than most people think. Younger kids look up to older kids to a tremendous degree. Young professionals pay attention to their colleagues who know what they're doing. Even mature leaders have their own professional and industry heroes. On a basic level, we all have friends and acquaintances we share our personal and vocational challenges with. That's essentially an invitation to allow the other person to influence us. One of the last sections in the book is called "The Applause of a Single Human Being." It doesn't always feel like it, but if we only knew the extent of our own influence, we'd take ourselves a lot more seriously! Question: How best do you balance being “generous with your applause” with not wanting to share too much praise that it becomes ineffective? Nathan: That's a great question - I'm actually asked this more than you'd think. John Maxwell said that encouragement is the oxygen of the soul. You simply can't give too much of it! I've often said that if you have to ask yourself if you're giving your team enough praise, you aren't. Studies show that praise has a direct correlation with employee engagement. Sustain the praise, sustain the engagement. The best part is that it's free to give! The only time praise becomes cheap is if the it isn't genuine or if you praise work (or effort) that isn't good. Question: What critical leadership lesson did you learn from observation during your military service? Nathan: In the book, I share that one essential (and free) ingredient to growing a leadership expertise is to learn by observation. The military gave me more lessons by observation than I can count! Almost everyone was given some form of leadership responsibility, which meant I was constantly surrounded by living, breathing case studies. Some were exceptional, some left a bit to be desired. Almost all were a work in progress. Like I mention in the book, any leadership mistake you can learn from someone else, you can avoid making yourself. Probably the biggest lesson I learned in the military that has been reinforced in the corporate world is that if you can only lead when you have authority, your influence will be low and your impact will be minimal. Nathan Magnuson is a corporate leadership consultant, author and communicator. His writing “career” began as a kid with a monthly family publication of Nate’s News and continued with various blog, article and book projects along the way. His articles are posted on NathanMagnuson.com and in various leadership publications. Ignite Your Leadership Expertise is his first book publication. 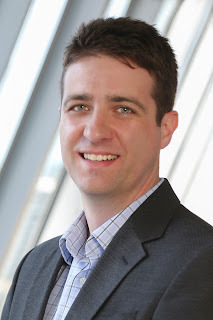 Nathan has worked in a staff or consulting role with several Fortune 500 companies and large public service organizations, including Accenture, MASCO, FBI, and Defense Intelligence Agency. Nathan is also a military veteran, having served a tour with the Army Special Operations in Operation Iraqi Freedom. Thank you to Nathan for sending me an advance copy of his book.